I had a good test with Møller Bil Motorsport last weekend, and now we’re ready for our first race April 27th. We are continuing with our Audi RS3 LMS for the TCR-class in the German VLN Championship also this season. We will do six of the nine races in the championship, and this will be my 15th season in VLN. I have the same team mates as before in Håkon Schjærin, Kenneth Østvold and Anders Lindstad. The only difference from last year is the tyres. All TCR-teams have to change from Hankook to Dunlop, and we had a good test with the new tyres on both wet and dry last weekend. 2018 was a great year for us with three wins, two seconds and one third in six races. We actually finished second in the TCR-championship even though we only did six of nine races. We are hoping for the same good results this year, but the competition is tough as earlier. Since we cooperate with Manthey Racing, we shared the garage with Porsche-pro Dennis Olsen at the test. 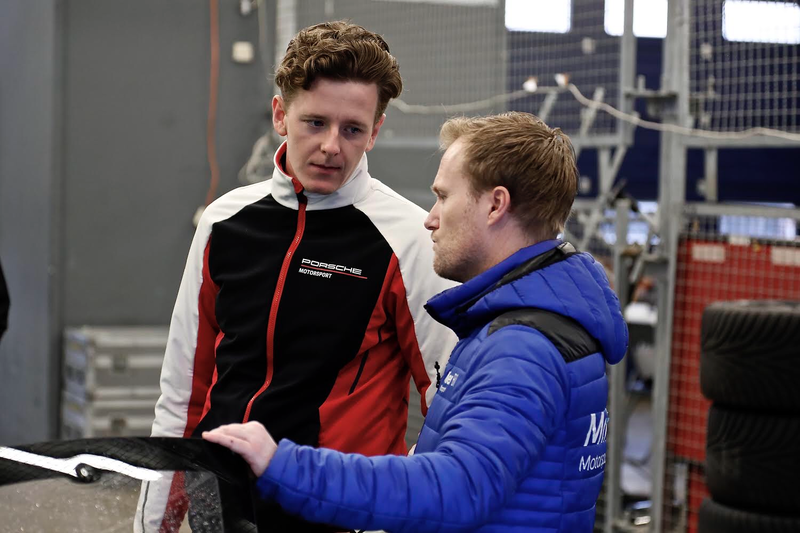 Dennis is also a part of Team Norway, that I am in charge for in my new role as the sports director of the Norwegian Automobile-Sport Federation. It has been some busy, but fun months in the new job. I still do the F1-commentary for Norwegian TV also, and I also have a few customers that I help with some PR-work.